FOR ANYONE STARTING THE LICENSURE PROCESS, FED UP WITH THE LICENSURE, OR JUST WANT TO SHARE KNOWLEDGE AND ADVICE OR WHATEVER….COME AND JOIN ME…..
Wishing all candidates success in the exam period starting tomorrow! I have a question for the group. What version of the Masterspec system is tested on the current L.A.R.E? Is this the old 16 division system or the new 50 division system? Is there a resource out there that provides this kind of information? You are referring to the CSI document and the new system, not so new anymore. Not important to know the sections numbers except that 32 is Exterior Improvements and 2 is Existing conditions. Otherwise don’t spend time learning section numbers and ignore that part of Time Saver Standards, which is out of date. LARE Candidates across Canada are invited to participate in two prep sessions sponsored by Alberta Association of Landscape Architects. I am not an LA, I am a sales rep. for a Steel Handrail (Illuminated Handrail) manufacturer in Dallas. Efficient-Tec International (682-410-2728) Ask for Jeff. I will be a good member of this forum, will not ask for business, and will try to stay relevant and informed on items discussed. Thanks for letting me join!! 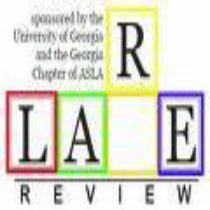 Still time to register for the GA LARE Review June 7-9 in Athens, GA. Description: Workshop covers the LARE Section 1: Project and Construction Administration: regulations, contracts, and construction administration processes. Just registering and taking the LARE is up to around $2000 at current prices, and CLARB keeps raising them.